Inspired by his home in beautiful San Sebastian Spain, Gasca endeavored to design a chair with light, fluid lines that resolved at every curve and edge. The product of these ideas was the timeless and eminently versatile Laclasica Chair. The Laclasica chair’s curved seat, back and frame cradled the body with a total absence of hard angles and sharp corners. The Laclasica Chair offered ergonomic lumbar support for extended sitting. The Laclasica chair has been a design standard used in such places as the ING Headquarters in Holland, the Nevada Museum of Art, Valencia University in Spain and even the inn at the Santo Estevo de Rivas de Sil monastery. The Relax House Mondeo café chair is our take on the admired Gasca Laclasica café chair. Our Mondeo is made from polypropylene making it as durable as it is pretty. 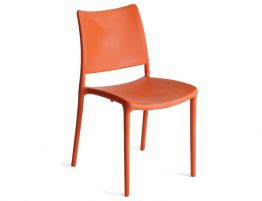 Our designer replica Laclasica side chair, here in a lively orange colour, is suitable for indoor & outdoor use making it ideal for your home or garden & restaurant of cafe. 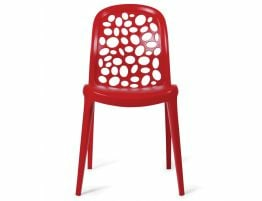 Picture this bright, fun orange cafe chair scattered around your barbecue party where guests can take a load off while they sip their Sangria. The Mondeo is a simple chair, but in this happy, bright orange it becomes a lively expression of your good taste. Envision this outdoor chair in orange paired with festive cloth covered tables for your outdoor Tapas café seating. Simple, functional designs like that of our Mondeo replica Gasca Laclasica chair make this chair fit in any variety of settings. 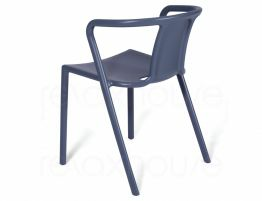 This unassuming chair is exceptionally well made and sturdy for even repeated commercial use. 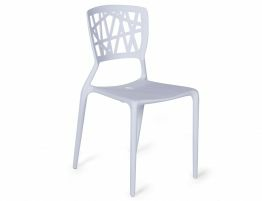 Our designer replica Laclasica chair is shown here in white and is moulded from polypropylene making it a heavy duty workhorse of a chair. 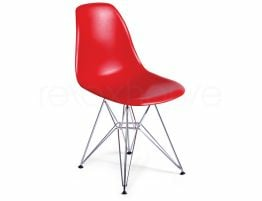 This attractive, simple indoor and outdoor chair is stackable and is a great addition to your restaurant, café, kitchen or event business. Gasca’s Laclasica had a pleasing form, incredible versatility and true to Gasca’s ideas about modern design, is at the end of the day a chair—a thing to sit upon comfortably while you do or ponder doing other things. We offer you the same versatility, functionality and pleasing form as the original at a price that is far easier to swallow. This popular and versatile stackable designer replica Laclasica is lightweight and equally at home indoors or out. 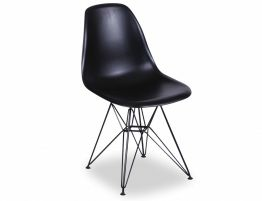 Our Relax House replica chair is constructed from polypropylene. Our design replica is UV, weather and stain resistant making it a great outdoor chair. And yet, its shape and contours works equally well within the home. 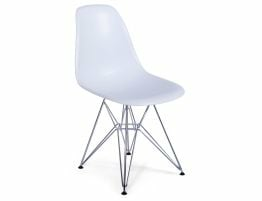 The Relax House replica café chair is stackable , making it a great find for your poolside seating, outdoor café seating, comfortable event seating or additional home seating.